Honolulu, HI 96816 The Islander Group Inc.
Toward the end of April 1795, a great battle was fought on the Island of O'ahu between the forces of Kalanikupule and Kamehameha. 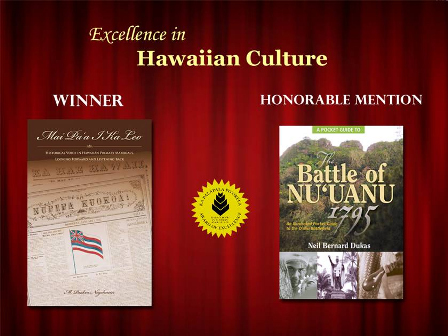 Named for the storied valley in which combined O‘ahu and allied forces made a valiant last stand against an invading army from Hawai‘i, the battle of Nu‘uanu was unquestionably a formative event in the history of these islands—no less, perhaps, in the historical development of this nation. If Nu‘uanu had not turned out as it did, Hawai‘i might never have been brought into permanent union and the archipelago advanced along very different lines. 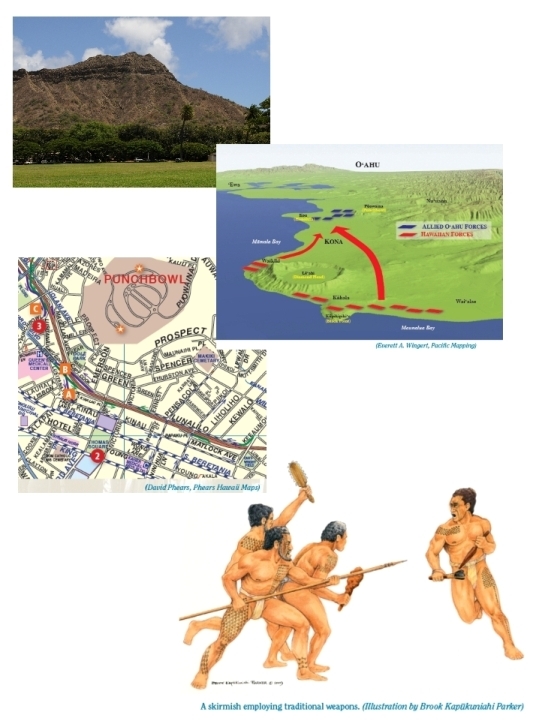 While urban sprawl encroaches much of the wider battlefield, after two hundred years it is still possible to walk the ground to a surprising degree and to watch the battle unfold in your mind’s eye—to see more or less as Kamehameha and Kalanikupule did. commentary from the perspective of a military historian. Whether you choose to conduct your own explorations over a half-day or spread out over a couple of weekends this pocket guide is certain to enhance both your experience and appreciation for Hawaiian history.